Video: Have you ever wondered why you don't see people wearing Rolls Royce's hood ornaments dangling from a necklace? It's because the Spirit of Ecstasy, as the hood ornament is obnoxiously called, is protected by a brilliantly over-engineered mechanism that causes it to retract and disappear if tampered with. 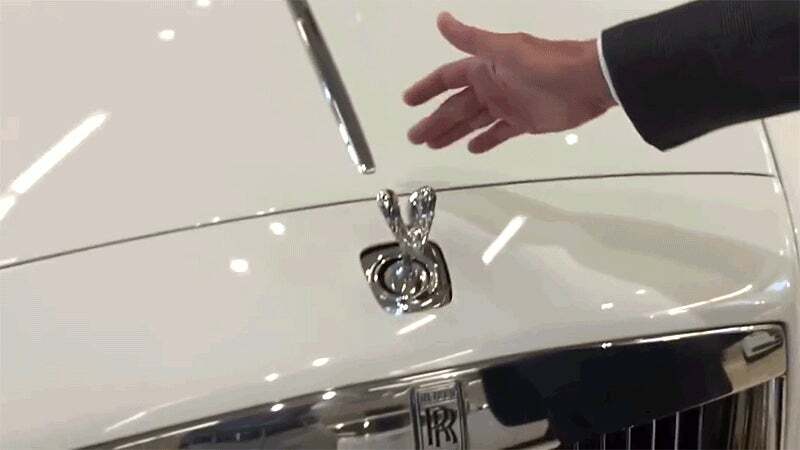 It's apparently a standard feature included on all of Rolls Royce's vehicles since 2004, and presumably the hood ornament can be raised again from inside the vehicle once its rightful owner returns.